Need to rent a truck for a day or for a week? Our short term truck rental services would definitely suit your needs. Contact us for more information! Need a driver to help with your short term delivery service? Utilise our fleet of trucks to optimise your delivery and logistic operations. Have an upcoming project or event requiring you to move materials or equipment from one location to the next? Looking for short term solutions only? Here at Rentalorry we have short term truck rental options for our fleet of trucks of varying sizes that would just suit your needs! Especially useful during peak periods when there is additional demand to be met. The additional trucks will be able to increase the number of deliveries you can carry out if you have a lot of cargo to transport. 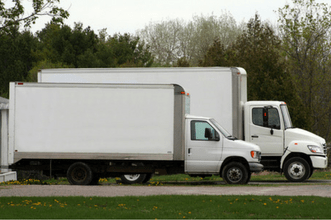 Trucks, generally being larger vehicles than vans or even cars, can accommodate for larger sized objects. Clients who need to move bigger objects or furniture even, would thus find great convenience in renting a truck. The trucks can also be used to transport heavy machinery and equipment to construction sites. Also, regardless of the size of the truck, as trucks are generally bigger than cars or vans, they allow for more objects to be transported at once, reducing the time and effort required in the move, and hence increase the efficiency of the process. At Rentalorry, we have one of the largest fleets of short term rental trucks available for clients to rent. These trucks come in different sizes, and can suit each and every of our clients’ needs. In addition, Rentalorry provides flexible short term rental services of our vehicles, an option that not all rental companies provide. This makes it possible for clients to rent the truck only for as long as they need, such a specified number of hours, or over several days. Clients can thus save more money as they would not be unnecessarily charged when the vehicle is not needed, as they would if they had been leasing under other companies. Rentalorry prides itself on providing only the best customer service for our clients. Our management and service team strives to make ourselves a reliable partner to work with, and are willing to assist our clients in anything and everything. If you have any queries or require more information on our vehicles, do not hesitate to contact us and we will get back to you as soon as possible.